Another Eco Friendly products presented to Igreenspot by Monica Ralli from UrthBags. 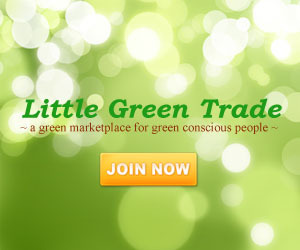 UrthBags, a Hip, Innovative Eco-Friendly Purse Company Brings Green Handbag Line to retail locations nationwide. In the high fashion world of glitz and glamor it is the little things that take the mundane to the cutting edge of style. Even a pair of faded jeans can become haute couture when just the right purse is added. 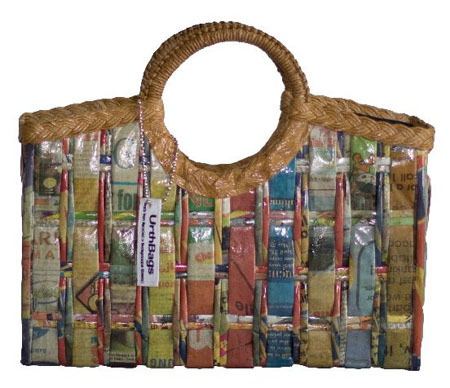 Now imagine that purse is Eco-friendly, made from recycled materials. 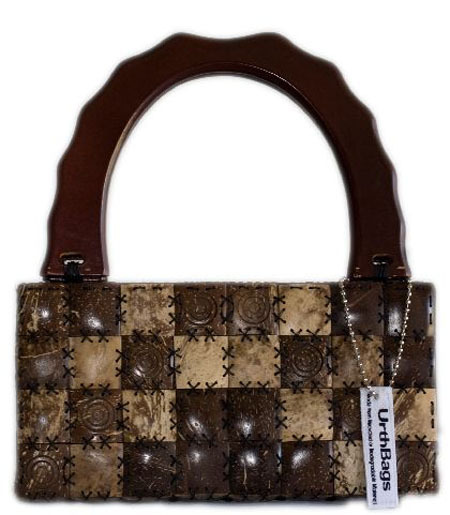 Enter the era of Eco-Chic.UrthBags, is leading the way with innovative, stylish and planet-friendly purses. Their purses, made from recycled juice cartons, seashells, fashion magazines and other unusual materials, are hip, whimsical, smart and green.UrthBags offers a large variety of durable, yet fashionable purses, handbags & totes that will have everyone tossing their dull and dated bags over for these fresh new designs with smart names like Angelina, Jennifer & Skye that helps gives each UrthBag an instant personality of it’s own.UrthBags are one of a kind, hand-made clutches, classic everyday handbags & functional, fun totes that will stand out in any crowd and make you the center of attention. So unique and enticing are these soft and pliable visions of fantasy any woman will feel ready for whatever the day (or evening) may bring. Eco-friendly does not mean bland, generic or boring. Internationally, major department stores and boutiques are beginning to understand the importance of Eco-friendly lines. They realize they must incorporate green into their collections. It is no longer acceptable to use exotic materials that cause harm to the environment. UrthBags brings over 50 fresh, lively designs, each hand-crafted and assembled world-wide by local women’s groups and artisans. 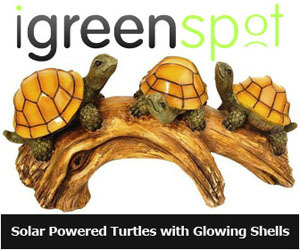 They are not only a fashion statement utilizing recycled materials but a testimony to the fact green can be beautiful. Are you ready for Eco-Chic?